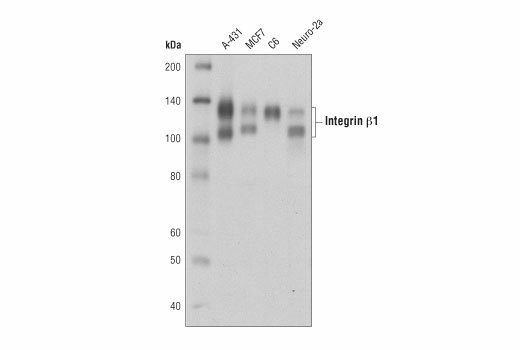 Western blot analysis of extracts from various cell lines using Integrin β1 (D6S1W) Rabbit mAb. 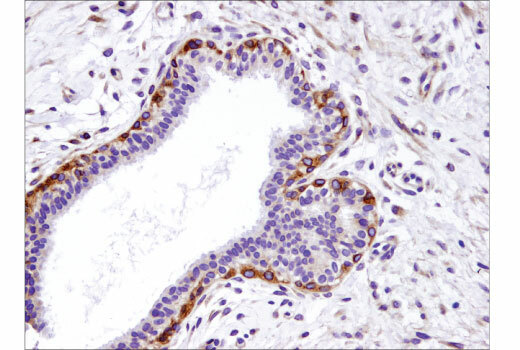 Immunohistochemical analysis of paraffin-embedded human breast carcinoma using Integrin β1 (D6S1W) Rabbit mAb. 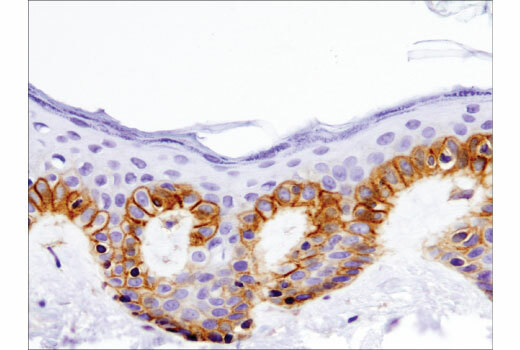 Immunohistochemical analysis of paraffin-embedded human colon carcinoma using Integrin β1 (D6S1W) Rabbit mAb. 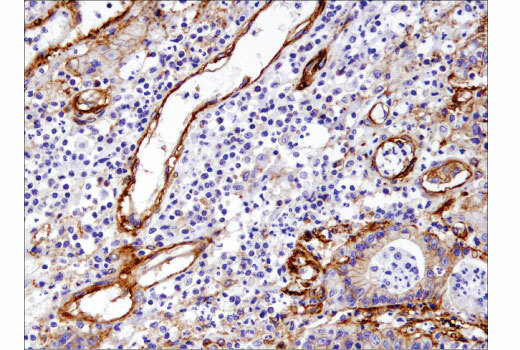 Immunohistochemical analysis of paraffin-embedded human skin using Integrin β1 (D6S1W) Rabbit mAb. Integrin β1 (D6S1W) Rabbit mAb recognizes endogenous levels of total integrin β1 protein.